A business plan is not only important for starting your business, it’s also an indispensable tool for helping you manage and grow your business. Your business plan is your roadmap in operating your company, and it’s essential if you intend to request funding from outside sources. A business plan spells out specific details about your business related to business concept, marketplace, and financials. The length of your business plan can depend on the complexity and scale of your business. Even short one-page business plans have purpose and can affect success. Too many entrepreneurs make the mistake of not preparing a business plan. That’s not terribly surprising, because writing one can seem a daunting task. It requires time, careful thought, research, and patience as you define your business’s critical success factors and goals. Are you intimidated by the thought of writing a business plan? Know that the benefits are well worth the effort. The value of a business plan isn’t so much in the document you create, but the discovery process you embark upon to create it. As you work on your business plan, you answer key questions about your business that you may not have otherwise considered. That can help you recognize risks and opportunities—and better position you for success. If you tackle it in smaller bits and pieces, the project will be more manageable. Schedule time to work on it. Plan time to work on your business plan. You’ll feel less stressed about it if you reserve time on your calendar to dedicate to it. Use technology and resources to your advantage. Although business plan templates and software can’t do it all for you, they can save time. 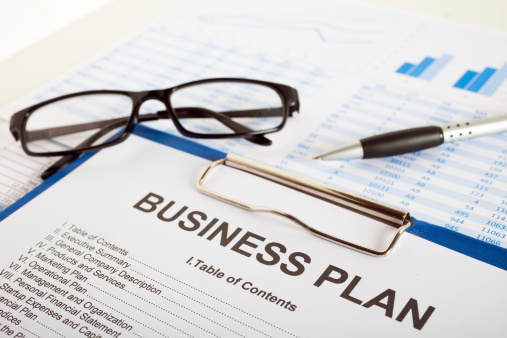 Consider using SBA’s online Business Plan Tool and the full range of free business planning tools and templates that SCORE offers. As you work on the different sections of your business plan, ask a SCORE mentor or other unbiased business professional to review it and provide suggestions for improvement and clarity. Even though writing a business plan will require effort, it doesn’t have to be a harrowing experience. Follow the tips shared here, and keep your eye on the prize. With a business plan, you’ll be better able to move your business in the right direction from the start and navigate changes more easily in the future.